The Lifestyle Hip Kit comes with several Daily Living Aids to help make your day to day life simple and easy. Eliminate the need to bend or stretch for hard to reach objects with these long handled products designed with you in mind. 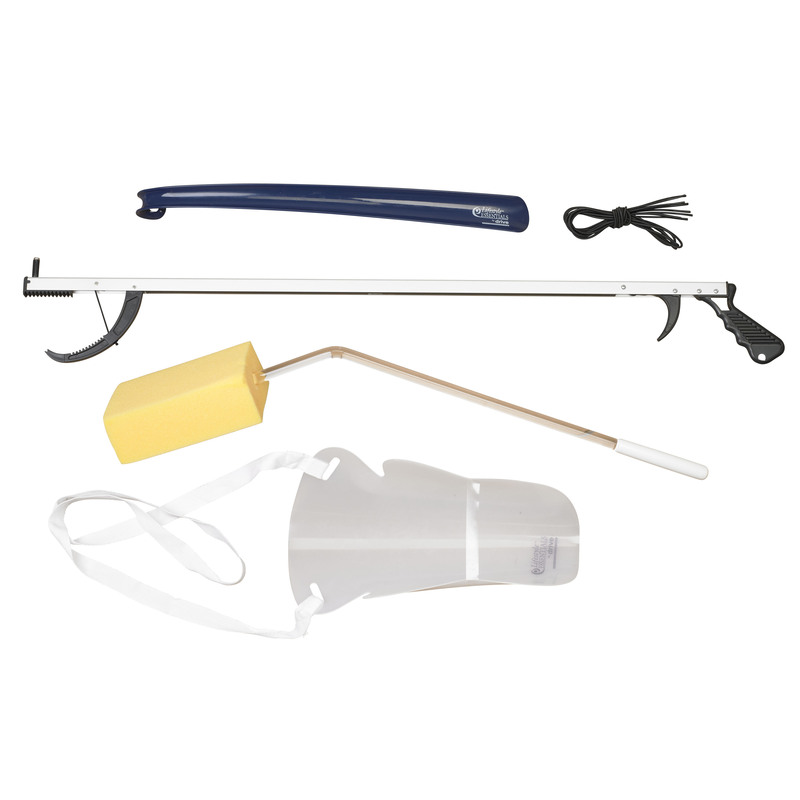 Contains Long Handled Bath Sponge (item # RTL1020) Poly Stocking Aid (item # RTL2012) Super Arm Reacher. 32" (item # RTL5021) Plastic Shoe Horn (item # RTL2049). Black Elastic Shoe Laces (item # RTL2050). Go ahead... Experience the Drive Difference Now!